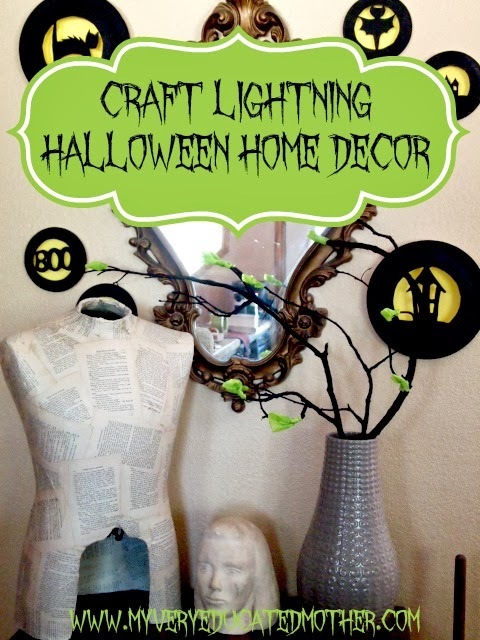 It is time for the Halloween quick craft features for day 3 of Craft Lightning. Craft Lightning is where I team up with 30 Minute Crafts and we each post a quick craft every morning. Then every afternoon we post a round up of quick crafts from around the web. Want a chance to be featured right here this week? Be sure to link up to the Craft Lightning linky party with a craft that takes 15 minutes or less to complete. If you have missed any of the fun this week be sure to check out the features from day 1, day 2, day 4, and day 5. Kicking off our features for today is Seven Alive in a Double Wide with these great ghost painted terra cotta pots. 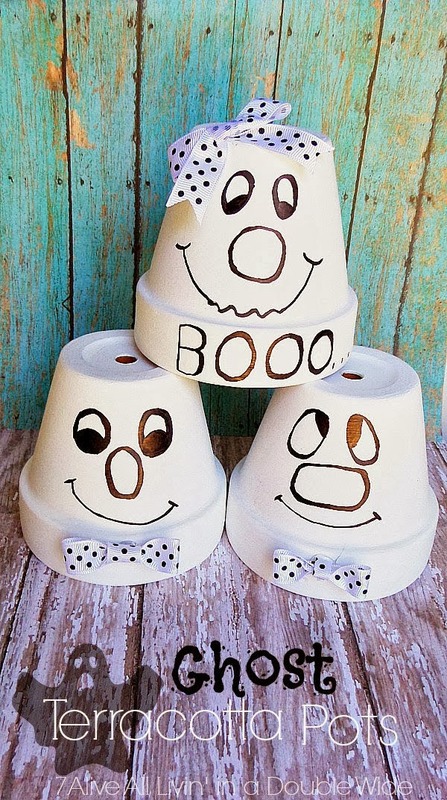 Line these up on your porch for a fun addition to your Halloween front porch. Do you think cockroaches can be pretty? If you throw enough paint and glitter on them they can be. 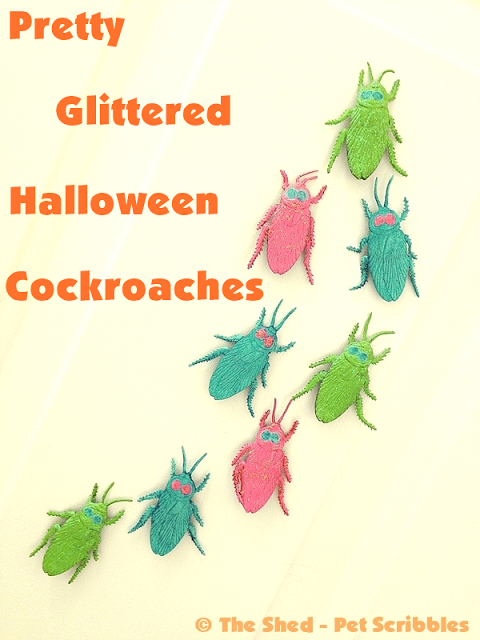 Take this tutorial for pretty glittered cockroaches from Pet Scribbles and make your own. 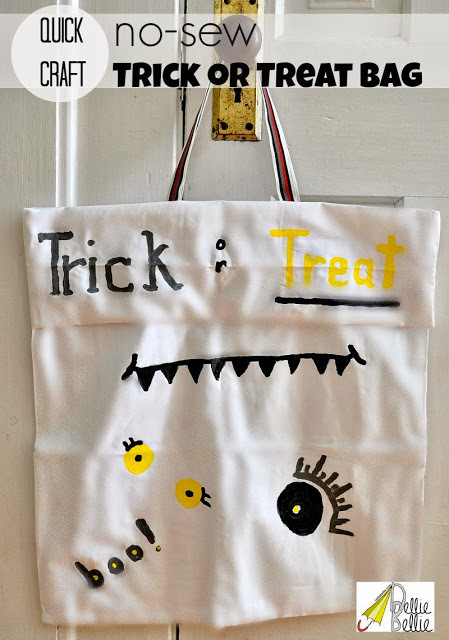 Grab a pillowcase and make a quick and easy no sew trick or treat bag with this tutorial from Nellie Bellie. I can remember using a pillowcase to collect candy…and no it didn’t look this good! 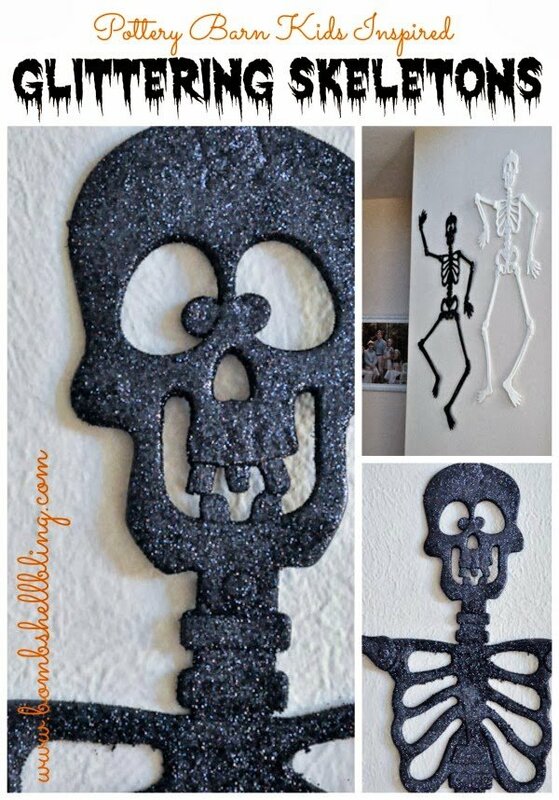 These glittering skeletons are a great Pottery Barn inspired craft from Bombshell Bling. I am partial to that black glitter…what about you? And can you believe these are so quick and easy to make?? 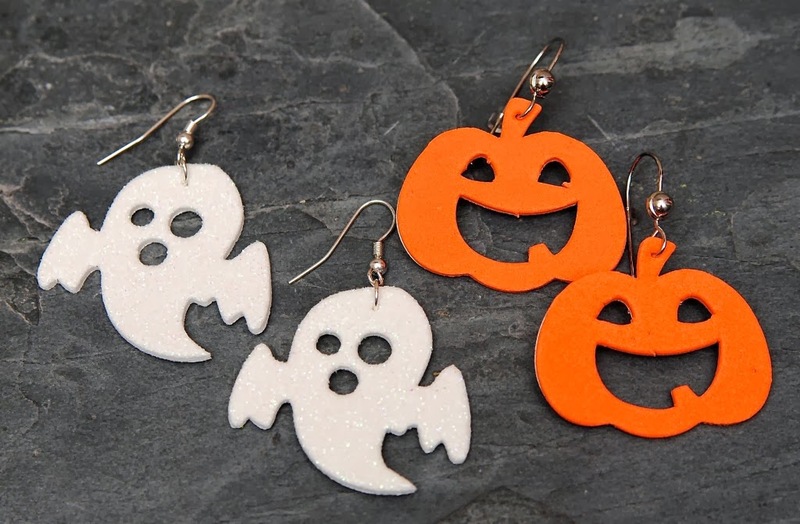 Use foam shapes to make cute Halloween earrings for yourself or your kids with this tutorial from Happy Go Lucky Blog. 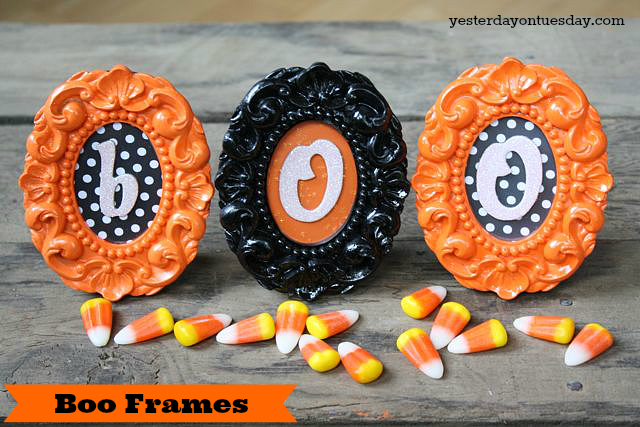 These cute Halloween BOO frames from Yesterday on Tuesday are perfect to add to a holiday vignette. I love those little frames…I need a dozen or more I think. 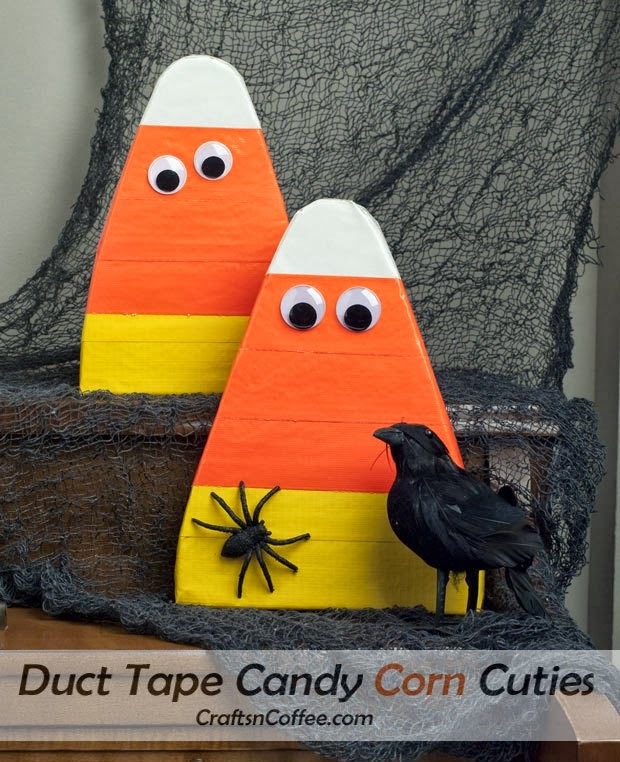 Our linky party feature for today is this great duct tape candy corn from Crafts n Coffee. I love these little guys!! Using duct tape is just brilliant. My partner for this series, 30 Minute Crafts made a simply adorable ghostly ribbon tassel. Such a simple idea but oh so cute. 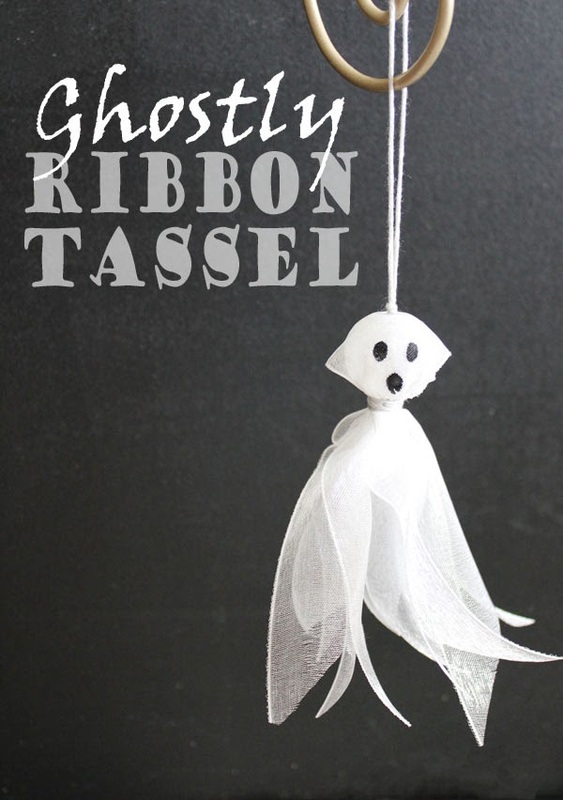 Make a bunch of these and you would have a super spooky Halloween garland for your home. Just in case you missed it, I also shared a Pottery Barn knock off this morning. My bone hand vase only cost me $3 to make but makes a gorgeous addition to my Halloween home decor. We have two more days of Craft Lightning so y’all stick around. Be sure to check out my quick and easy crafts Pinterest board as well for all of the past quick crafts from the Craft Lightning series. next post: Spooky Eye Cake Pops — in 5 minutes! 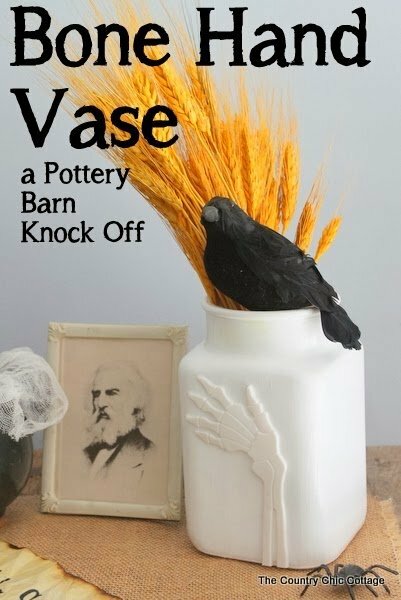 That bone hand vase is exactly what I need! So many other great ideas too!